During the segment, Fallon showed Margot a paparazzi snap of her exiting a hotel with a Ralph Lauren bag filled with, er, bathroom goods and a sheepish look on her face. 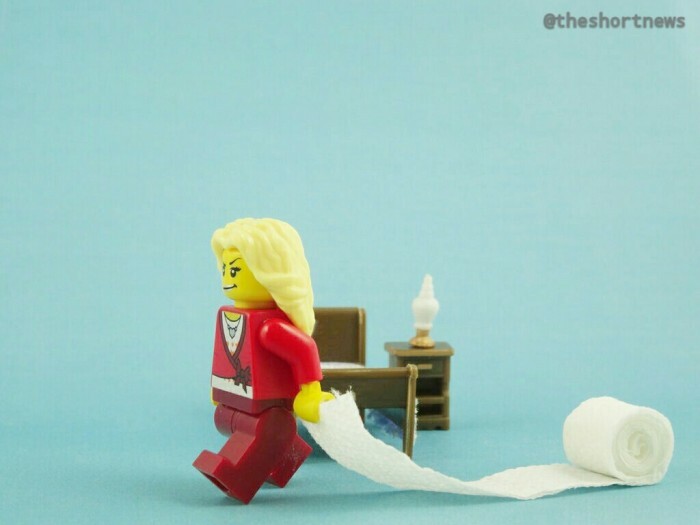 Margot admitted that the incident in question occurred during filming of Wolf of Wall Street, and that her busy schedule did not really provide her with a lot of free time to buy the essential bathroom product. It’s good to know that even Hollywood stars like to raid the bathroom in hotels! Margot Robbie first rose to fame in Australia in ‘Neighbours’ and is soon to star alongside Will Smith in ‘Focus’.